SnapCacklePop: Zedd gets Papercut from new single with Troye Sivan..! 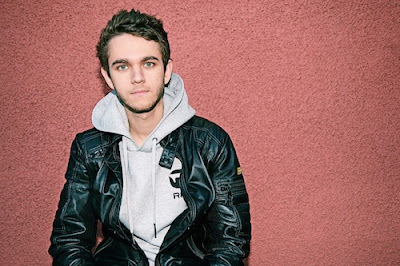 Zedd gets Papercut from new single with Troye Sivan..! Dance music is a phenomenon throughout the whole world. Artists like Calvin Harris, Avicii, David Guetta and Armin Van Buuren have had some amazing successes. Do we see them however is just DJs who are crossing over into the Pop world? If that's the case then we are really underestimating them as German DJ Zedd shows us. Zedd is a truly talented musician, classically trained, from a guitarist father and a piano instructor mother. He began playing piano at the age of four and drums by the age of twelve. He's already worked with some of the biggest names in the industry such as Lady Gaga, Justin Bieber and The Black Eyed Peas. And of course everybody knows his smash hit single Break Free featuring Ariana Grande. Recently releasing his second studio album True Colours, Zedd has absolutely stunned us with his latest single Papercut. This is melodic mastery and features talented Australian musician Troye Sivan. Starting slowly with a simple piano tune, Papercut builds beautifully with a great beat and stunning vocals. One of the best dance songs we've heard in ages, and proving DJ's really are... brilliant musicians! Listen to Papercut here now..!